Last month, I shared some of my favorite Ben Franklin attractions to see when you visit Philly. This time, I’m going to tell you about the other wonderful things about the city! See, while I’ve never had much chance to tour all the Ben Franklin attractions, I have spent some time just hanging out in Philadelphia. After all, it is only about 90 minutes away! Of course, I haven’t seen everything, so I’ll also share my “dream list” of places to go when I visit Philly next time! Visit Philly: Explore the best of the city in 3-days, 2-nights! While I think you could live in Philly and still never see everything there is to see, you can fit a lot of stuff into three days. With an amazing Visit Philly Overnight Hotel Package, it’s easy to stay in style and within your budget. In a city where parking can be a challenge, it’s also reassuring to know that your car stays free if you stay any two consecutive nights. Check out my idea of a dream itinerary for when I next visit Philly. I think arrival days should be relaxing. I’d hit a coffee shop first thing, because I always need coffee! I’d love to check out the Fair Trade roasts over at Good Karma Café! After getting nice and caffeinated, I’d head over to Franklin Square so my son could play in the playground. We’d enjoy a round of mini-golf (he’s never been, I feel like I’m depriving him!) before grabbing lunch. Now, if you’re going to visit Philly, you need to try their cheese steak! No one does cheese steaks quite like Philly. I prefer the chicken variety. There are so many places to grab a cheese steak. I’ve actually eaten at Geno’s on South 9th Street years ago. Delicious! The mid-afternoon is a good time to explore the University of Pennsylvania Museum of Archaeology and Anthropology. I always wanted to be an archeologist (among many other things) and my son has taken an interest in history lately. With nearly one-million objects, we won’t get bored! At night, I think it would be fun to check out the Pen & Pencil Club! As a writer, I’d feel at home in the nation’s oldest press club! The second day has always been my day for packing in as much as possible. You’re well-rested after your arrival and not rushed for your departure. It’s ideal for a day on the go. Of course, I’d start with coffee again! I’d have to head to Lovers and Madmen, just because it’s such a unique name for a coffee shop! I need to see what that’s all about. 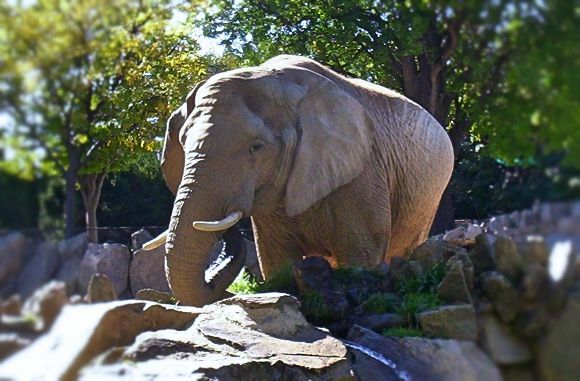 I absolutely love the Philadelphia Zoo, so I’d want to spend most of the day there. It’s a bit hilly, so be sure to bring your comfy shoes! After that, we’d head across the bridge and check out Adventure Aquarium. I took my son there for a sleepover with the Cub Scouts, but we missed a few things, like the hippos. I’d love to visit again when we have more time to roam during the day! You can’t visit Philly without doing a little shopping! Now, I’m a South Street type of girl. Years ago, we visited Zipperhead quite a bit. Apparently, they have since changed their name to Crash, Bang, Boom. Not sure how I feel about that, as it doesn’t have the same ring as “One Saturday I took a walk to Zipperhead…” Still, I’d love to check it out again. Not feeling the punk rock girl vibe? Head to Antique Row on Pine Street and grab a piece of the past, or over to Rittenhouse Row for an upscale shopping experience. When you visit Philly, it’s pretty much imperative that you stop at Independence Hall and see where the US was born. Admission is free, but you will need to grab some tickets before entering. Skyline Credit: Photo by B. Krist for Visit Philadelphia™ All other photos by me. I’ve only been to Philly once and I wound up in a nice area and enjoyed my stay. It wasn’t as long as yours and I only got to see a little because I was there for work but I know it’s somewhere I would like to go again. I have never been to Philly before. This sounds like a great itinerary. I’ll have to remember this if I ever make it out to Philly. Philly is such a great area to visit. We went a few years ago and there was so much to do. Good to see you did some things with your family. How i’d love to roam places like these someday. Looks fun! I haven’t been there but I am sure if I do – it will be so much fun! Wow! I live in Philly and don’t think I have done some of these things. You really made the city seem cooler than I ever give it credit for. Great list of things to do. I have never been to Philly! Looks really fun! 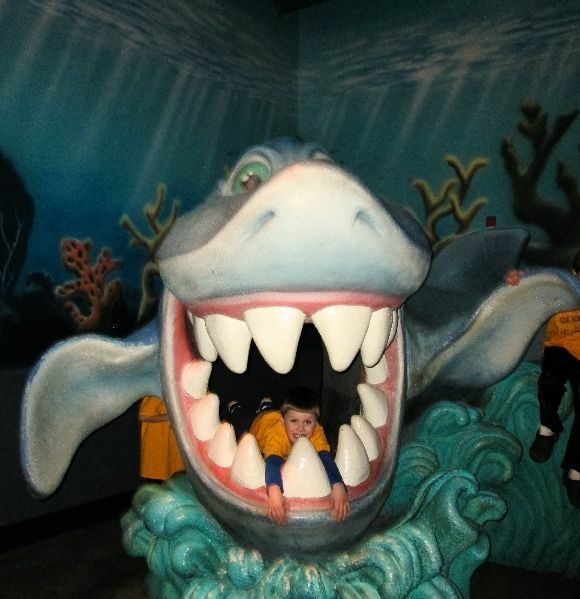 My kids would love climbing in the shark’s mouth! What a fun post! The Zipperhead picture is absolutely adorable. My Granddaughter and I took the bus from Atlantic City to Philly a couple of years ago. We spent the entire day exploring the city and didn’t get to see the zoo. Maybe on our next trip, we can do that.